Christmas is the best time of the year as we can sit and enjoy the cold weather with your family. And its fun to make and bake cookies for Santa. 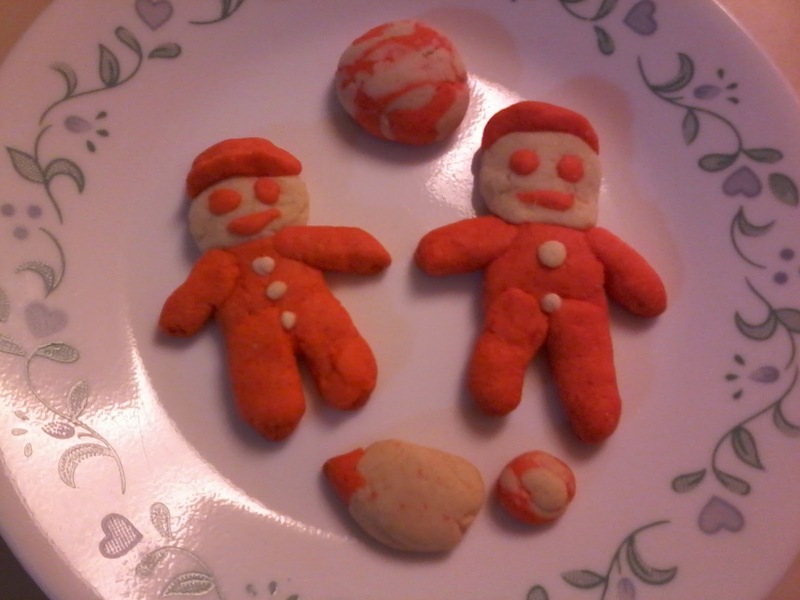 This year my son also joined me and he created his own version of cookies. Its lots of fun and family time. I got this version of cookie from HowtoCookThat.com. 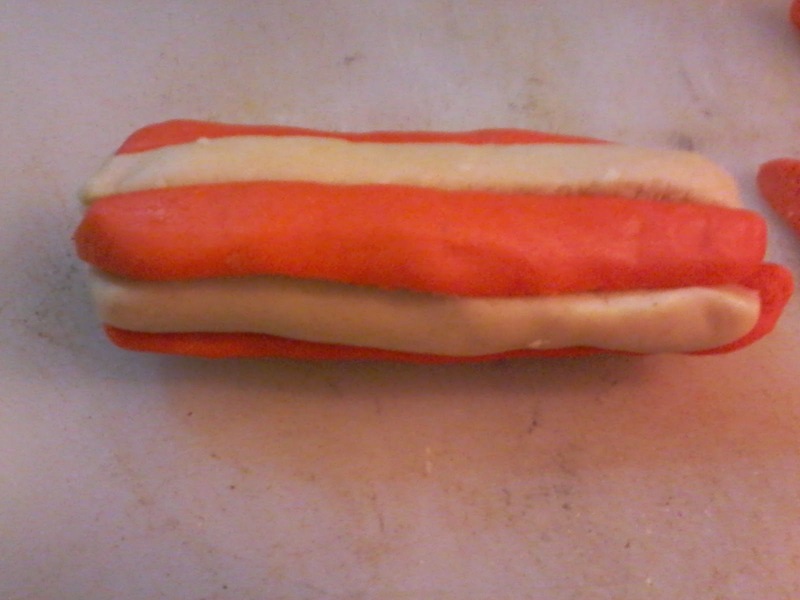 I used orange food color instead of red and skipped the sprinkles part. I used reduced butter and less sugar. 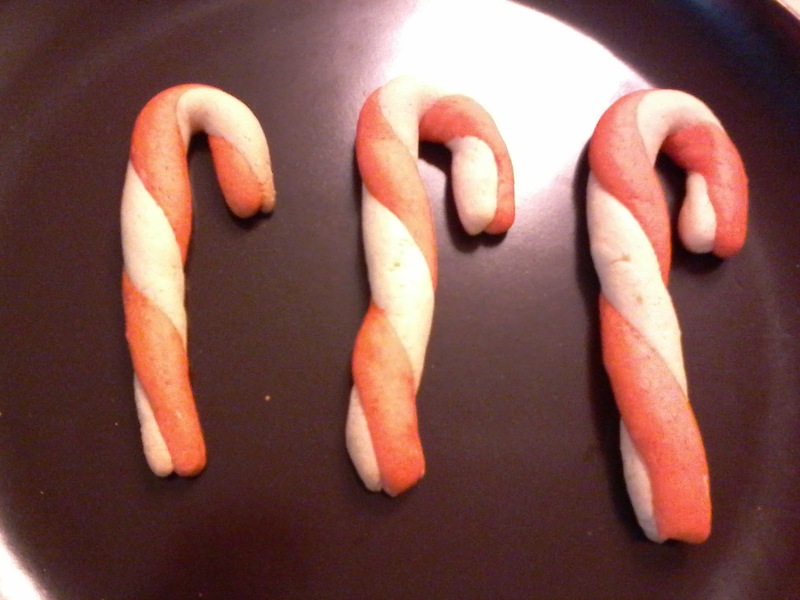 While baking I got the idea of candy canes and the kids liked it so much. Here comes the recipe. 2. To this add the eggs and mix very well. 4. 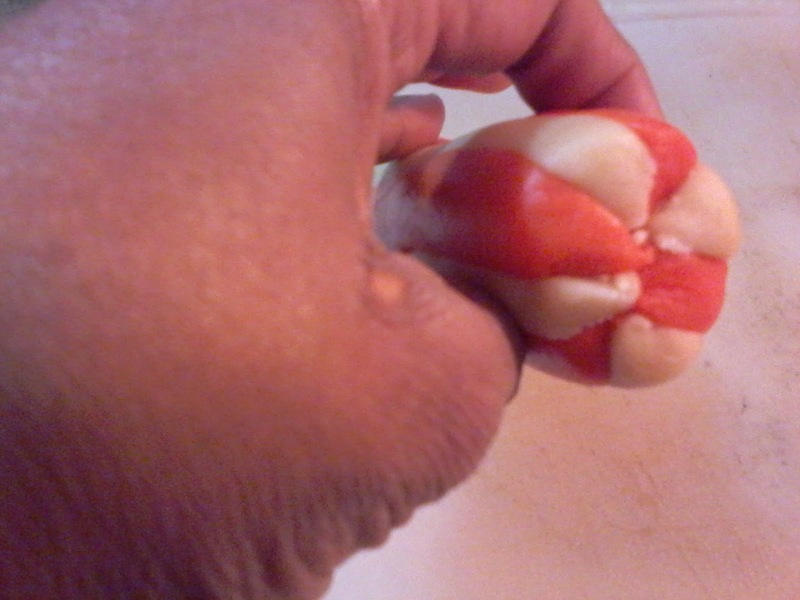 Cut the dough into two halves. 6. 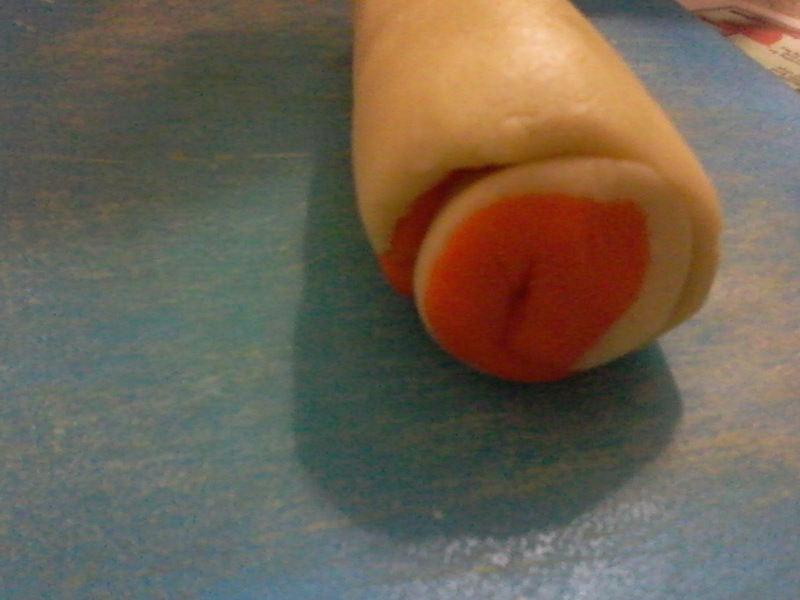 Now cut the white dough and red dough into three parts. 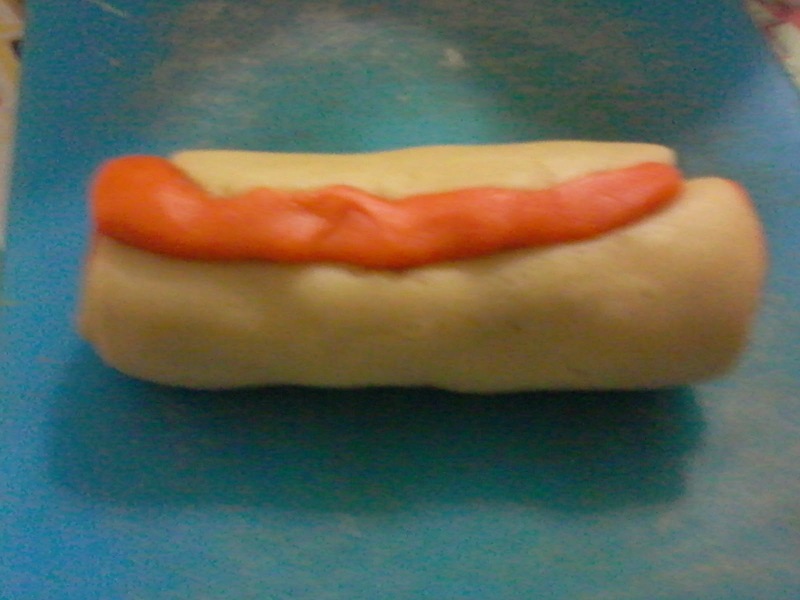 Now you'll be having 3 parts of white dough and 3 parts red dough. 1. Take one part of the white dough and roll it flat on a parchment paper to 1/2 inch size. Cut the corners to make it as a rectangle. 2. 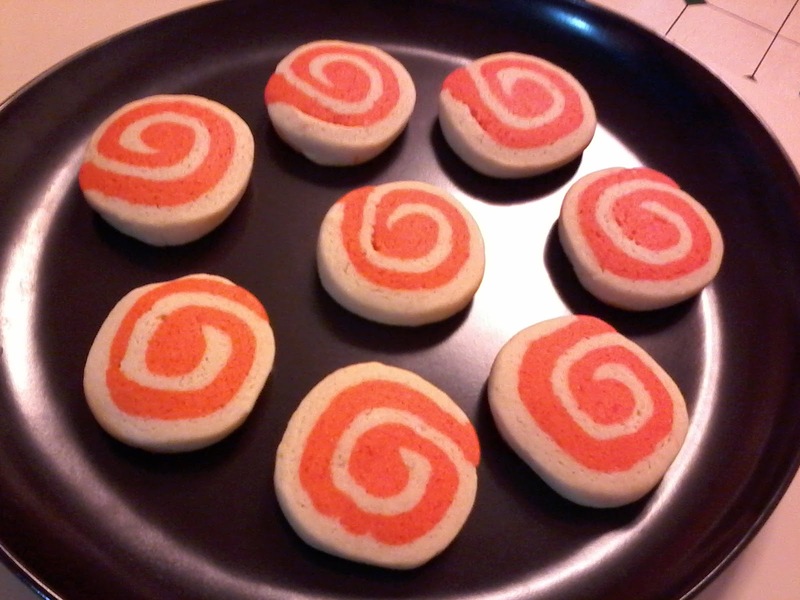 Same way roll the red dough to a rectangle of the same size as the white one. 3. 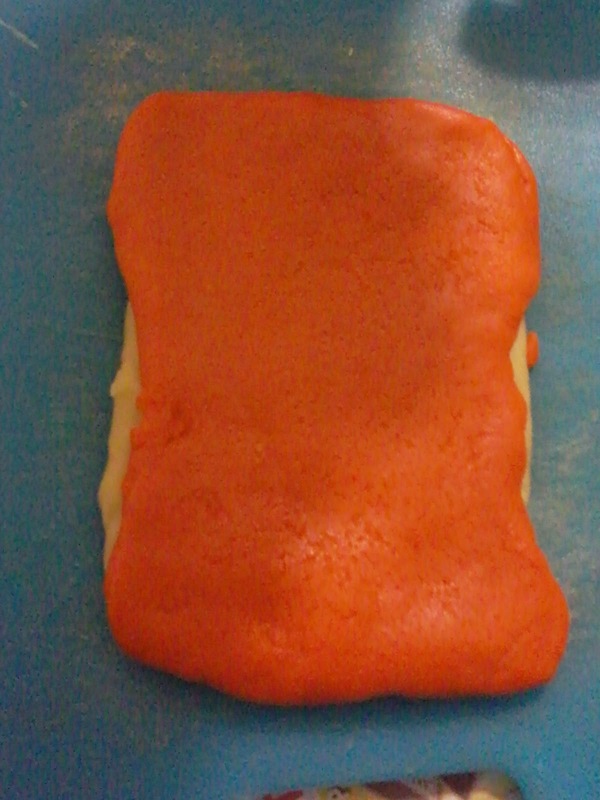 Gently take the flattened red dough and place it on top of white one. 4. Roll both the rectangles together from one end to the other end. Try to roll it tightly so we won't get any holes in the middle. 6. Take the dough from the freezer and cut into 1/2 inch size circles. Adjust the shape to make perfect circles. 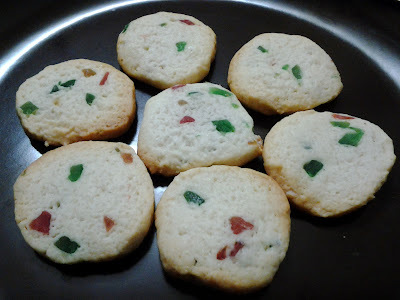 Arrange them in a butter sprayed baking tray refrigerate for few minutes. 7. 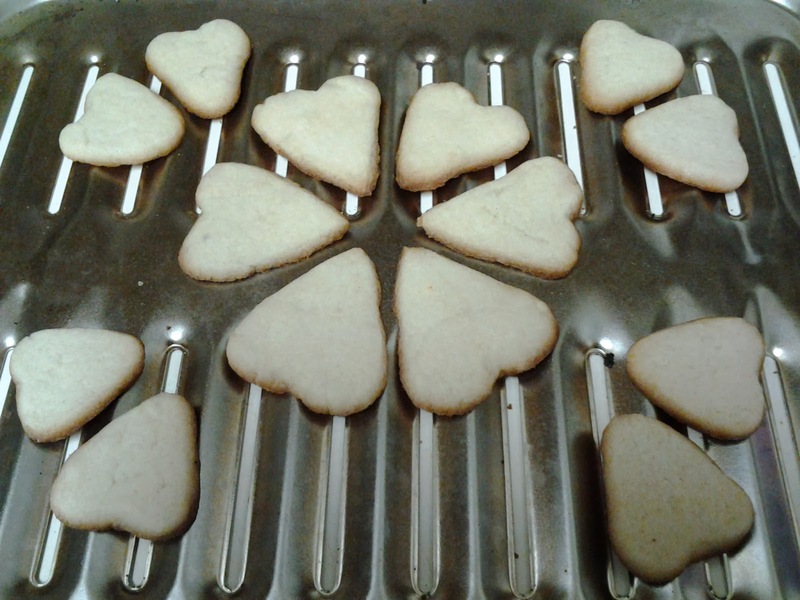 After 5 minutes bake them in 350F oven for 12 minutes or until the corners turn light brown. 8. Cool them and enjoy. 2. After 30 mins, take the white dough and cut the log into half lengthwise. Cut each half into four quarters of equal size, lengthwise. 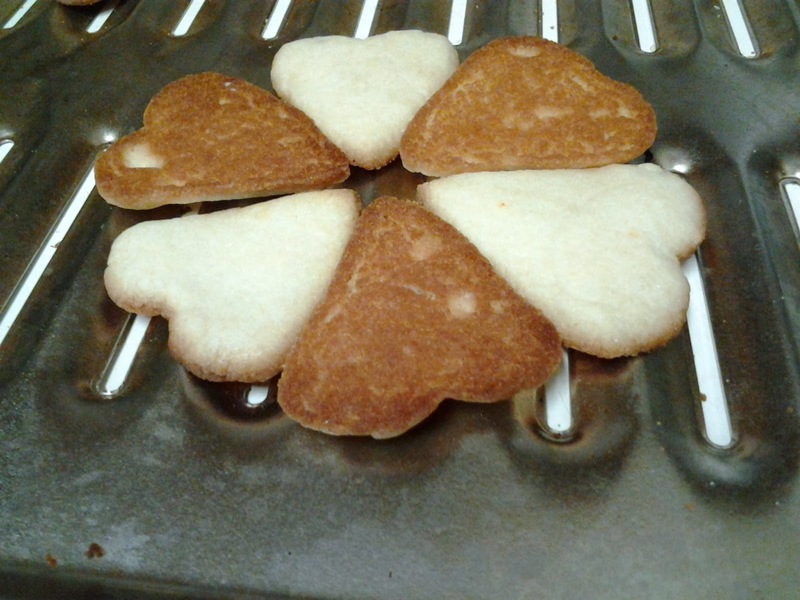 I didn't got this right and so my cookies doesn't actually look like flowers. 1. Take one small ball of the white dough and roll it to a thin straw and about half the size of a straw. 4. Arrange them in a butter sprayed baking tray refrigerate for few minutes. 5. 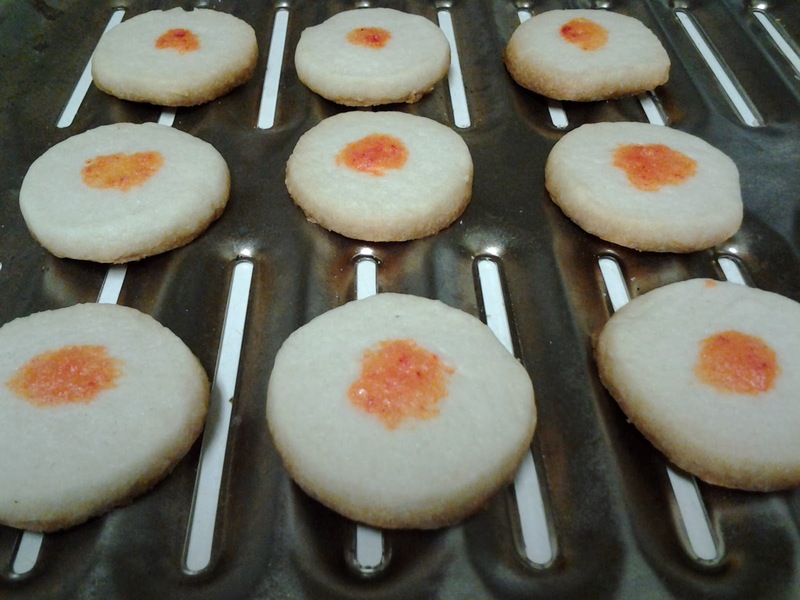 After 5 minutes bake them in 350F oven for 12 minutes or until the corners turn light brown. 6. Cool them and enjoy. If you have any dough left out, make your own creation like how my family did. Merry Christmas!!! In a separate bowl whisk together the flour, salt, and baking soda. Set aside. In the bowl of your electric mixer (or with a hand mixer), beat the butter and sugar until light and fluffy (about 3 to 4 minutes). Add the vanilla extract and beat until combined. 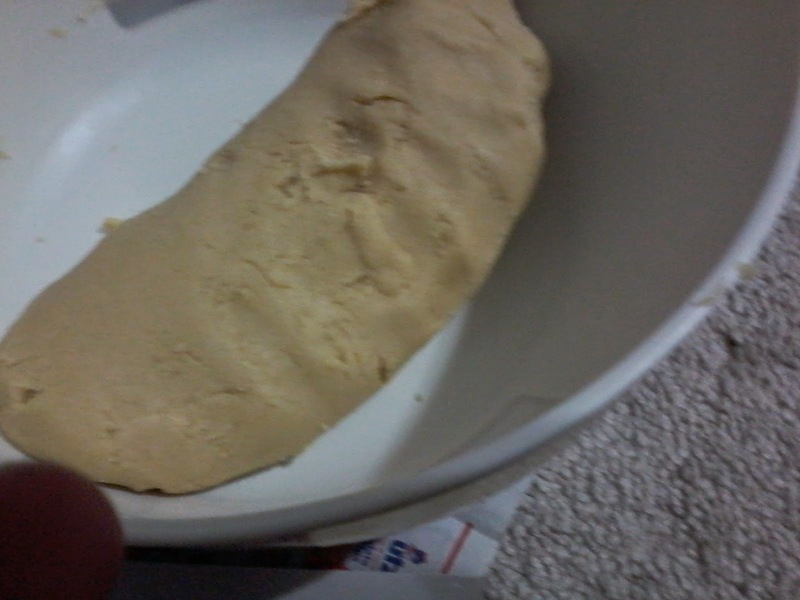 Add the flour mixture and beat until you have a smooth dough. Bake them for 12 - 15 minutes. Timings will vary for the oven. So always keep an eye as it will burn out easily. I decorated one batch of my cookies with food coloring. 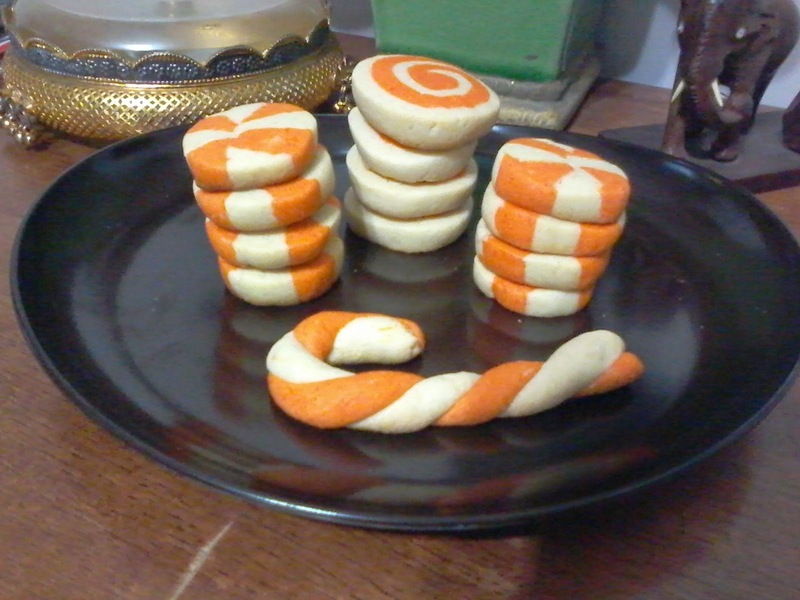 (I simply mixed sugar and food color﻿ and kept on top of the cookies). There are so many frostings available on market. You may try some of those to make your cookies more colorful.. It was my wedding anniversary a few days back. When I came across the recipe of Doughnuts, I've saved it for this occasion as we don't make desserts that often. 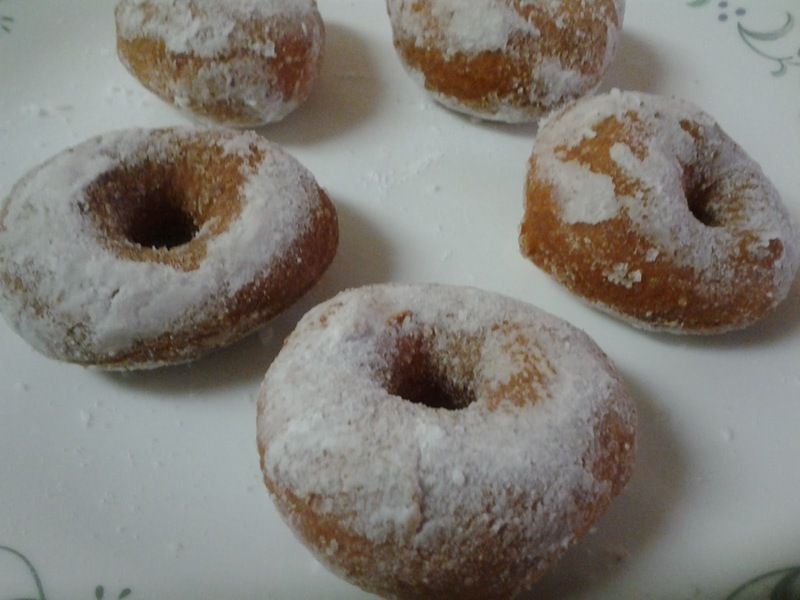 And I did tried the basic sugar glazed doughnuts for the special day and we all liked it. Though it was not as good as the store bought fresh ones, it was close to it. And also I got the satisfaction of making it on my own. Next time I would love to try the different versions. And I had some excess dough, which I don't want to fry and keep (as doughnuts loose their taste the next day), I made some naans with that, and they were really fabulous - super soft than my regular ones.. 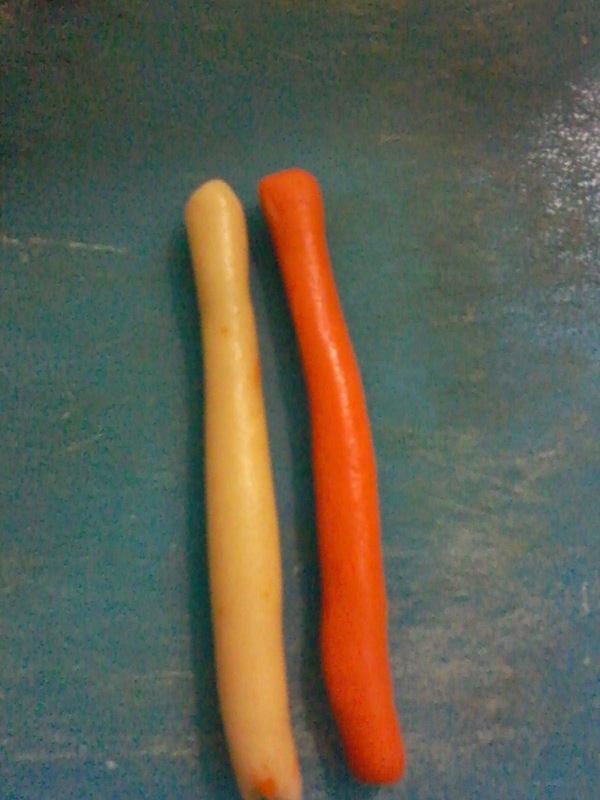 So its a two in one dough. Cool isn't it? So here comes the recipe. Then add all purpose flour, mix it well make in to a dough and kneading for 5 to 7 minutes and add butter again kneading for 3 minutes and rest it for 30 minutes in a warm place, after 30 minutes give knock back and again rest for 30minutes. Take the dough and with help of rolling pin roll it into ½ inch sheet and cut the doughnuts with doughnut cutter, transfer in to the tray, then rest for 10 to 15 minutes to rise. Heat oil in a pan and deep fry the doughnuts in a slow flame till brown in color, take in a serving plate and sprinkle some casting sugar along with cinnamon on it. To cut the doughnuts, first cut the outer circle and remove them. Then cut the inner circle. For frying, keep the flame very low. Don't overcrowd the doughnuts, as they will rise in the oil. Give some space. I usually make adais once or twice a month, This time when I was browsing I got this little variation from Vahrehvah. We could add cheese as an additional optional ingredient which I did only for my kid. This one has the goodness of veggies to this protein rich dish. This could be served even as a evening food after school. 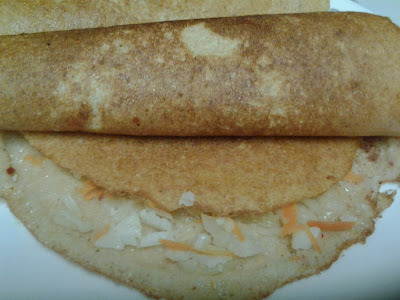 Heat the dosa tawa and spread the batter like a dosa. 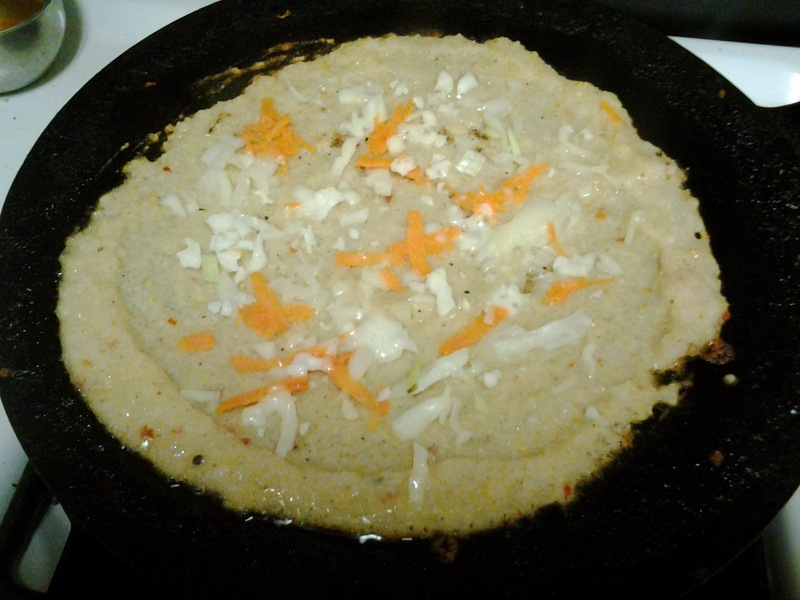 Sprinkle the mixed vegetables on top all over the dosa. Sprinkle some cheese. Add oil on the corners and keep it covered. After the corners starts turning to golden brown, remove it and fold it and serve. For kids, you can even make it into rolls and serve them. Serve hot with your favorite chutney. 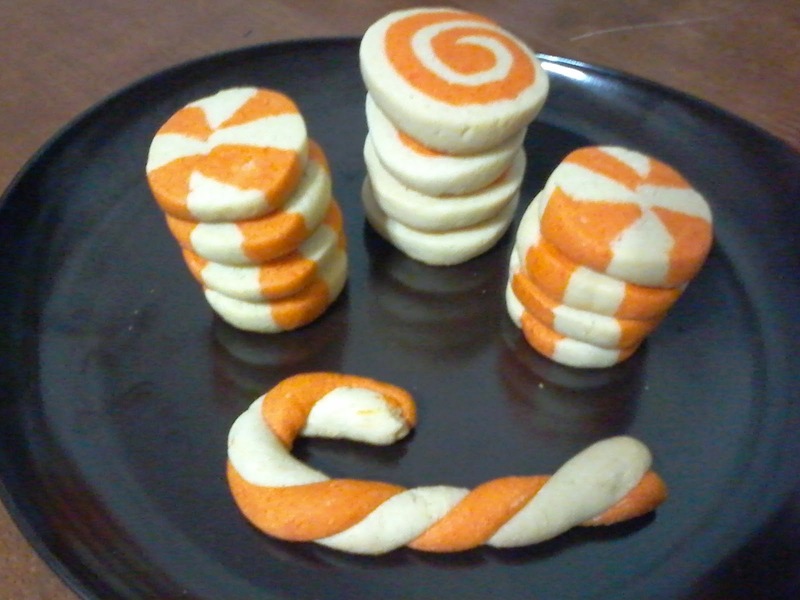 Christmas time is the perfect time for cookies as kids are waiting for Santa and his gifts. 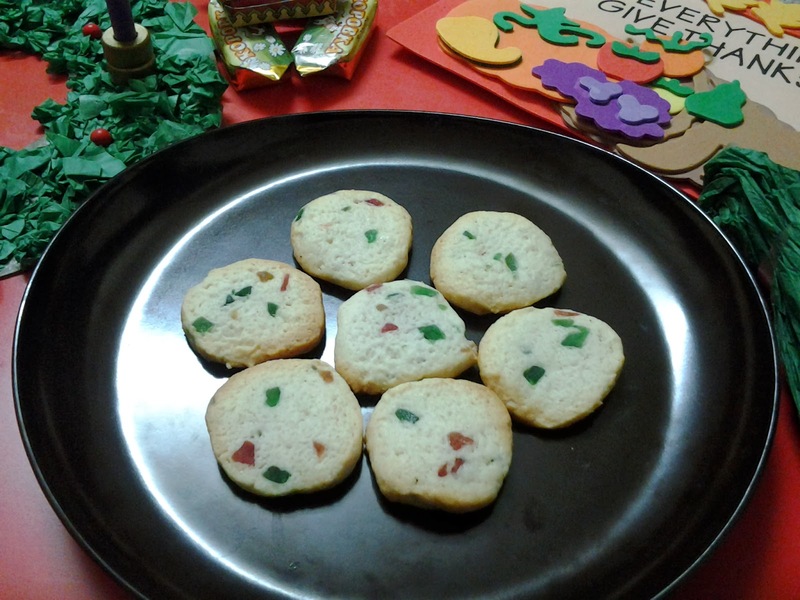 This year we made these eggless tutti frutti cookies for Santa. A simple and perfect recipe got from Sharmispassions. Unsalted Butter (room temperature) - 4 tbsp. Milk - 1 to 2 tbsp. In a mixing bowl add powdered sugar and butter. Cream butter and sugar until light and fluffy - I used my whisk for this. Add maida, tutti frutti and mix well. Add milk to form a soft sticky dough. 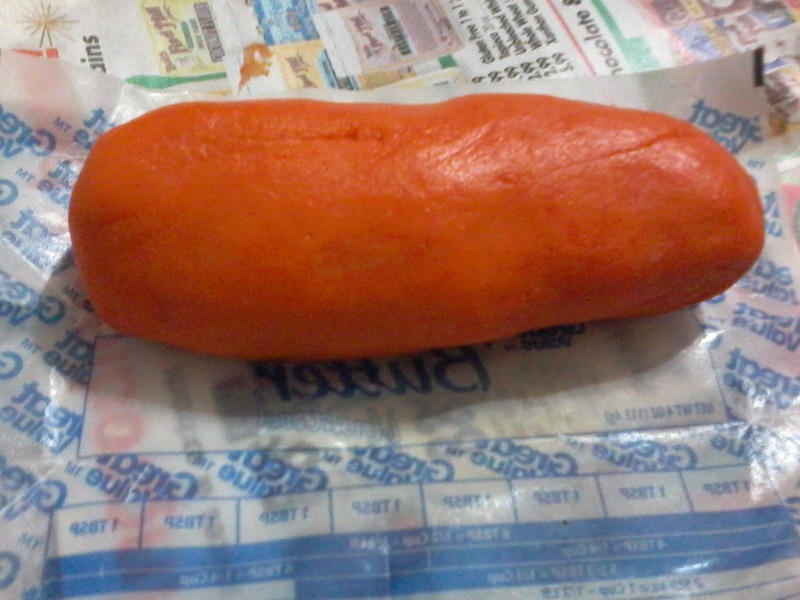 Lay a butter paper and roll the dough and form a log(dust flour if needed). Freeze the logs for 40mins(Put it up in the freezer to make the dough firm). Take the log out, and slice the dough with a sharp knife. Slice into slightly thicker slices. Preheat the oven at 350ºdeg /160 deg C for 10mins. 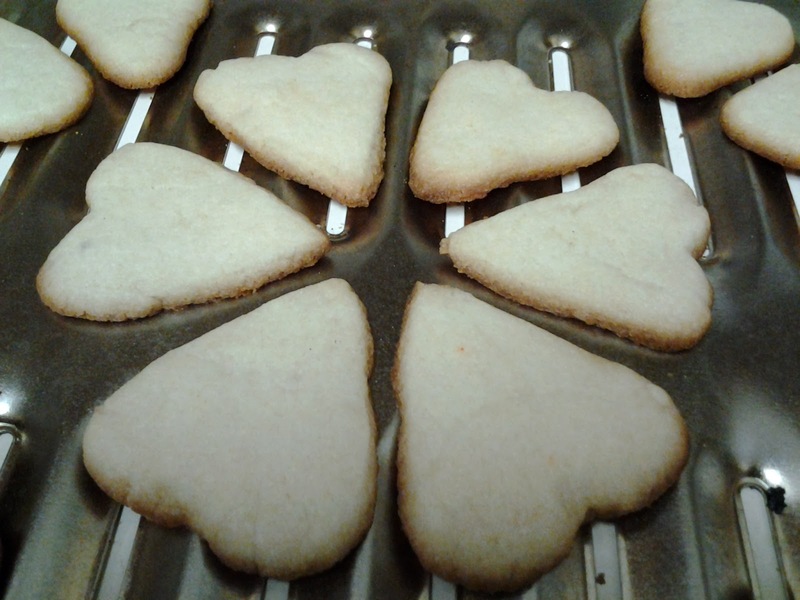 Place the cookies on the lined butter paper leaving space between each cookie. Bake it at 160 deg C for 10 to 12 minutes or until the edges are slightly golden brown on the corners. It took 13 minutes for me. Check yours accordingly. Bake a little more if you want crispier cookies. Transfer carefully in a rack and cool it. Store in airtight container. Samosas are deep fried triangle shaped starters filled with vegetables. There could be no one without knowing this famous appetizer. Mini Samosas are the one in miniature versions. And these will be more crispier than the regular ones. These are mostly filled with onions. And the taste of onions inside these fried samosas - OMG!! - its utterly delicious. I recently saw a cookery show in youtube and got this recipe. 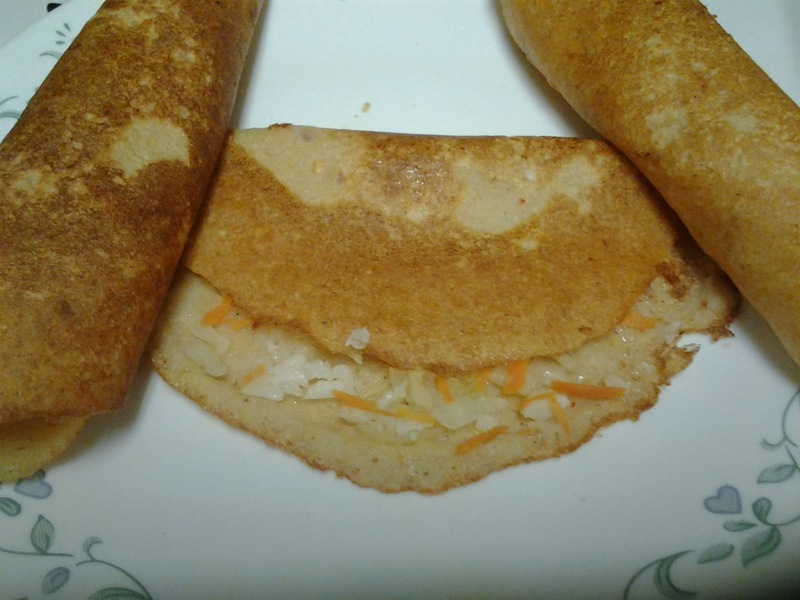 Its very simple to make and you will get amazing response. I tried this with store bought samosa sheets. But if you prefer you could make your own sheets too. Mix a tsp of all purpose flour in water to a semi running paste. Take the samosa sheets. Mine was a square one. 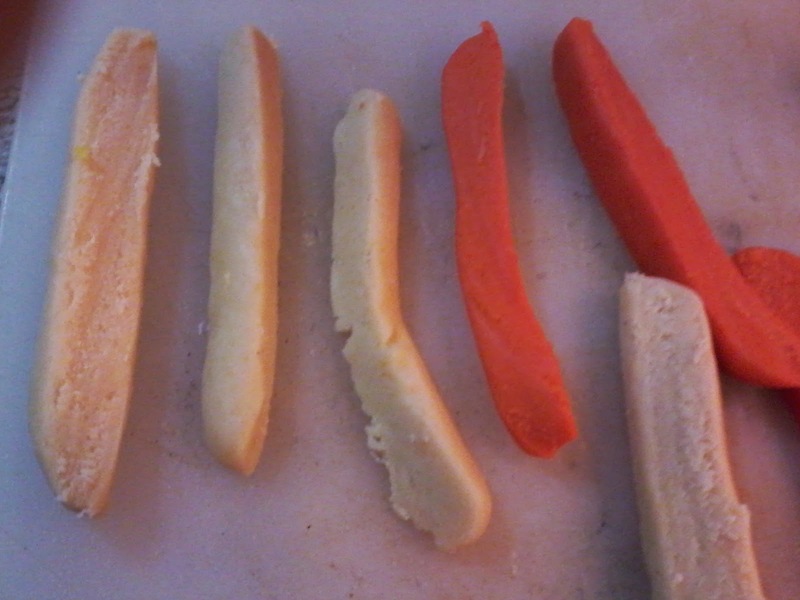 so I sliced it lengthwise into 4 rectangles. Take a spoon of the onion mix and keep it one corner. Then tightly roll it as triangles throughout the length of the sheet. Make sure that you don't have any open corners as the mix might drop out. At the end apply the glue paste and stick it well. In the same way roll all the samosas. Heat oil in a pan to deep fry these samosas. The oil should not be too hot. I kept it in a low flame. Slowly drop one batch of these mini samosas. And let them cook slowly till they get the nice even golden coloring. Then turn and cook on the other side. This takes around 7 - 10 minutes for each set. Drain the oil well and place them on tissue papers. These stay crisp even for hours later. Enjoy these crispy snacks on a holiday evening. Fry the samosas in really low flame to have the crispy texture. 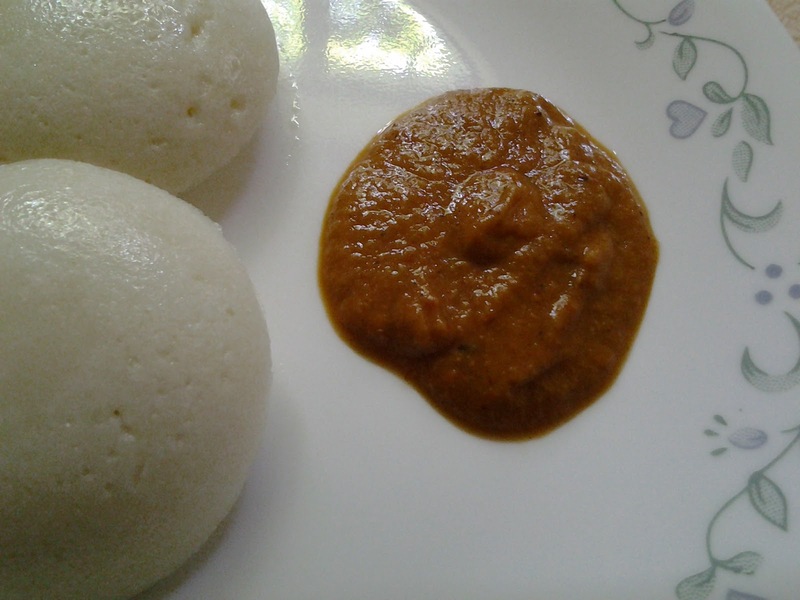 We love Idly / Dosa the traditional South Indian breakfast. 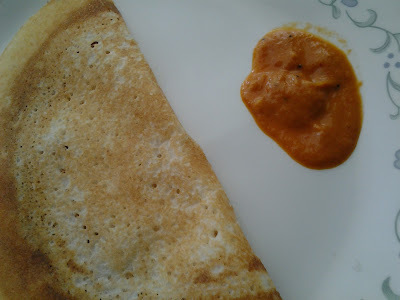 We have it regularly on weekends morning breakfast. I used to make red chutney with only onions and tomatoes earlier which is always the least favorite in my family. So this time I tried a little variation to my ingredients and BINGO it was a great hit!!! So here goes the recipe for your hit list..
Heat oil in a pan and add sliced onions and tomatoes and sauté well. After they are half cooked add the tamarind, turmeric powder, red chilly powder and coriander powder. Add little water and cook till it gets almost dried. At the end add coconut powder and stir for a minute. Grind it to a paste after cooling this. Heat oil and add the seasoning ingredients. 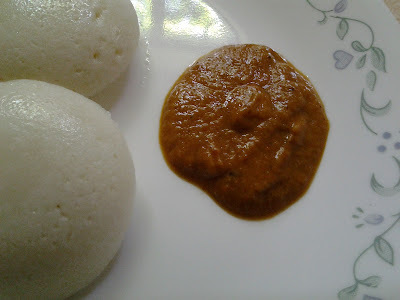 Pour the seasoning over the chutney and serve with Idli / dosa.